The NVIDIA GeForce GTX 1070 NDA has officially lifted and reviews are now available for consumers to read. 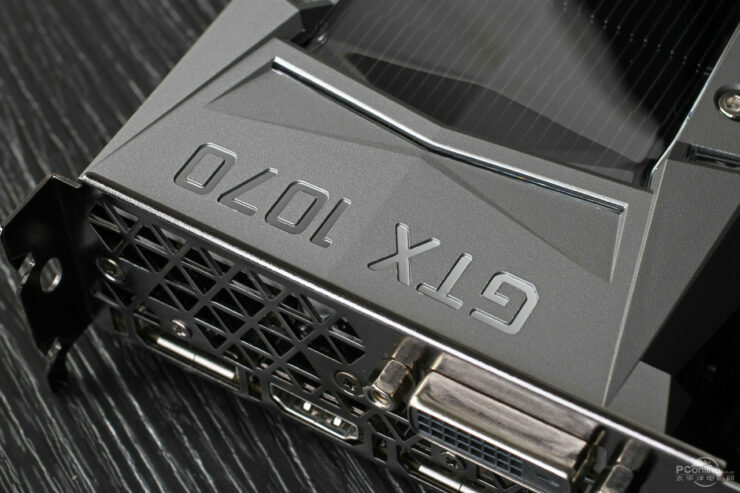 The NVIDIA GeForce GTX 1070 will be available in market on 10th June but like the GTX 1080, NVIDIA decided to allow reviews to be published a few weeks before the launch so that users can get an early look of overall performance and efficiency numbers of the new card. The NVIDIA GeForce GTX 1070 features incredible performance/watt and performance/dollar! The NVIDIA GeForce GTX 1070 has the potential to become a big success as the GeForce GTX 970. While it does has a $50 US higher starting price than the GeForce GTX 970, the GTX 1070 brings better performance at a (still) very affordable price point. Last year, NVIDIA launched two high-end graphics cards based on their GM200 GPU architecture, the GTX Titan X ($999 US) and the GTX 980 Ti ($649 US). Both are still very capable cards but with the GTX 1070, it looks like their glory days are soon to be over. The GeForce GTX 1070 replaces the GTX 970 with performance of a Titan X and 980 Ti. In most cases, the card is faster than the Titan X with only a few exceptions on 4K resolution due to the fact that the GeForce GTX Titan X has a larger 12 GB VRAM buffer. But does that buffer matters? Not much in gaming. For current owners of Titan X and 980 Ti cards, the GTX 1070 is not a threat as they will still be getting the same performance levels that the 1070 has to offer and there are plenty of 980 Ti custom models owners which have slightly better performance numbers than the 1070. 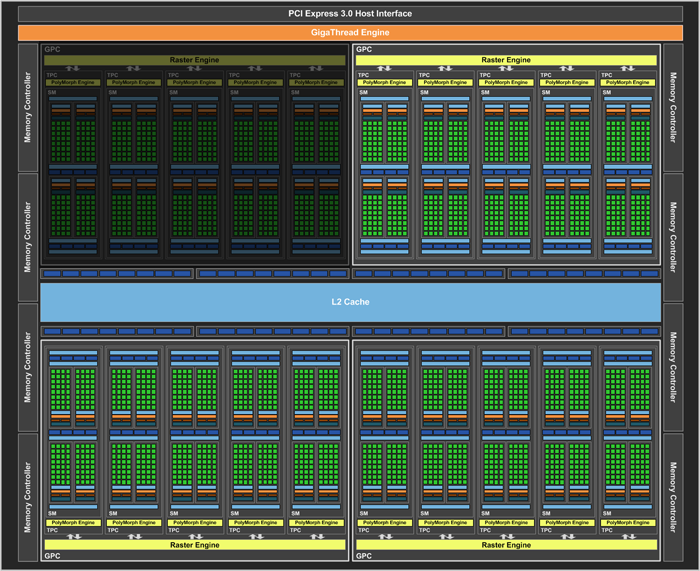 But performance is not the only place we need to take be looking at when comparing this 980 Ti or Titan X to the 1070. 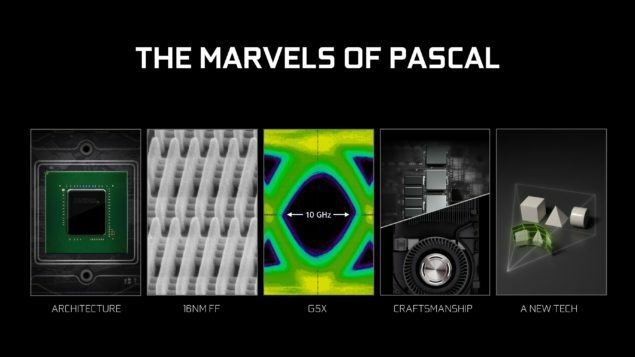 The GeForce GTX 1070 is more modern in all ways possible, a few features that Pascal has to offer are detailed here. 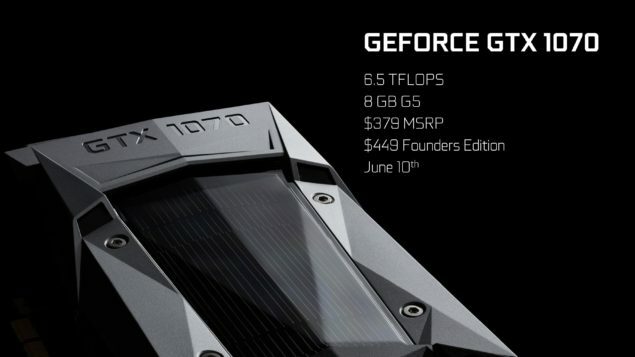 The GeForce GTX 1070 will also have several custom models with impressive clock speeds and overclock capabilities which will be available with the Founders Edition on 10th June. The GeForce GTX 1070 will bring the price of Titan X performance down from $700 US + to $379 US. And lastly, the GeForce GTX 1070 will have the most efficient architecture design ever built by NVIDIA using the TSMC 16nm FinFET process. All this combined, the GeForce GTX 1070 is a deal breaker for all PC gamers who are looking for a modern graphics card that does it all without breaking the $400 US barrier which is incredible value. Moving on to DX12 and in some cases the situation changes quite dramatically. Here the GTX 1070 just demolishes the 970 and 980, by sometimes embarrassing proportions. As the situation resolved itself I kept wondering whether this was due to the GTX 1070’s architectural strengths in Microsoft’s new API or how abjectly pathetic the GM104’s DX12 output really is. It is likely a combination of both since performance relative to the GTX 980 Ti and GTX 1080 is relatively consistent when making the DX11 to DX12 transition. Clearly the new 16nm GP104 is the most power efficient GPU we have ever tested, and the results above with the GTX 1070 compared to Maxwell, Hawaii and Tahiti prove that out. The NVIDIA GeForce GTX 1070 features the GP104 GPU (GP104-200-A1) core which comprises of 1920 CUDA cores. The configuration on the GeForce GTX 1070 comprises of 120 texture mapping units and 64 ROPs. With an entire GPC disabled, the ROP block still remains active hence providing the same count as the GTX 1080 that is great. The Pascal FinFET architecture allows significant increase in clock frequency. The GeForce GTX 1070 is clocked at 1506 MHz base anad 1683 MHz boost clock. The NVIDIA GeForce GTX 1070 Block Diagram – GP104 With A Fully Disabled GPC Cluster. The GTX 1070 would feature the same potential of overclocking as the GTX 1080 (or better) since it has more TDP headroom compared to its bigger brother. In the case of 1070, we are looking at a 150W TDP compared to 180W on the GTX 1080.